Sculpting a six-pack doesn't always mean hard work and buckets of sweat. Carve your abs the easy way with these 18 awesome tips! Who said sculpting a six-pack should be hard work? Follow these corner-cutting tips to find your abs in half the time and get to your fighting weight with barely any effort at all. An uncomfortable chair might be hell on your glutes, but can be hugely beneficial to your abs because fidgeting dramatically improves your cardiovascular fitness and calorie burn in the long term, found research in Medicine & Science in Sport & Exercise. Getting a little wiggle room does the same to your trousers size. You literally have a weight-loss aid on tap—you probably just don't know it. In a study of dieters in The Journal of the American Dietetic Association, people who drank two glasses of water before each meal lost more than two kilograms of extra weight inside three months. It seems as if the water helped the participants feel fuller and eat fewer calories. What could be easier? If you're losing weight for a weigh-in then you'll still be training, but there is a way you can make your muscles work harder. Your muscles stare at you in the mirror so give them a little thought during training. Visualizing the muscles flexing can give you up to 53 percent more power, found research in Neuropsychologia. Unlike chicken, your visualizations can leave the skin on. 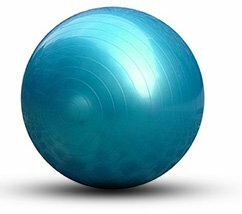 Don't bother doing too many exercises—such as the shoulder presses—on the Swiss ball. Research in Dynamic Medicine found that it doesn't work your abs any harder than if you did this exercise on a bench. Plus the stable surface will make you press more weight, translating into more powerful punches. It's well known that most of the world's leading mixed martial artists involve themselves in some form of hypoxic training before fights. The reasons are clear: training at altitude with limited oxygen can increase your VO2max by 13 percent (a benchmark for aerobic fitness), found research in the Journal of Sports Science and Medicine. Use a low oxygen mask (Elevation Training Mask 2.0, $80, otmfightshops.com) to mimic these effects without having to move to Colorado. Exercising in a group encouraged athletes to go at it for two minutes longer than those who went at it with a partner and twice as long as those who went at it alone, found research in the Annals of Behavioral Medicine. There certainly is power in numbers. Keeping your palms cool while training improves your endurance, found research by the American Heart Foundation. 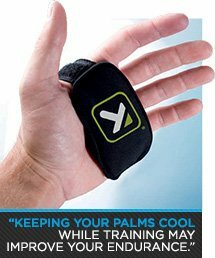 Cool palms, by holding something like the Bex Runner Cool Point ice gel pack ($19.99, tptherapy.com), helped people shave five minutes off their 2.5k walk time. Wear it while you train to get an extra endurance kick. There is a long-standing dispute about whether cardio or weights deliver fat loss faster. Well, aerobic exercise done at 80 percent of your maximum heart rate is far superior to weightlifting (12 reps per set) at reducing belly fat, found research in Endocrinology and Metabolism. Debate over. Winner: cardio. To sharpen the point of your V-shape, you need to lose fat. A financial incentive—such as entering a weight loss competition—was a successful motivating force for weight loss, found research in The Journal of the American Medical Association. Enter a competition with someone you know—or even better, someone you don't like. A powerful ingredient (capsaicin) in this condiment specifically reduces belly fat, found research in the Brigham and Women's Hospital. A svelte waist will also make your back seem broader. Exposure to cooler temperatures switches on your brown fat, which keeps you warm, causing you to burn more calories, found research at the Joslin Diabetes Center. Do your training outside, especially during the winter. Pump yourself up mentally before any exercise and you'll increase your power output by a whopping eight percent, found a study in the Journal of Strength and Conditioning Research. Anyone got a photo of Michael Bisping? Want a sly performance booster? Take arginine before exercise and you'll train 17 percent longer and harder, found a study in the Journal of the International Society of Sports Nutrition. 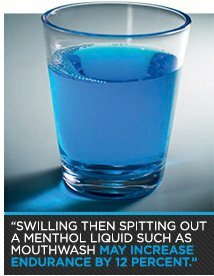 Swilling then spitting out a menthol liquid such as mouthwash increases endurance by 12 percent, found research in the European Journal of Applied Physiology. Fresh breath is just another upside. Treadmills all taken? Run outside. The 'mill makes you use 36 percent less O2 than running on terra firma, making you fry fewer calories, found research Medicine and Science in Sports and Exercise. This smell helps stop cravings for high-calorie foods such as chocolate, found research at Flinders University, Australia. It might not be masculine, but neither is a belly that would put a pregnant lady to shame. It takes 53 percent more energy to walk on the balls of your feet (the way a barefoot runner would) than to walk on your heels (the way a shoe-wearer does), found research in The Journal of Experimental Biology. Take the occasional naked run, or simply walk wherever you can. Our lives are geared toward the please-be-seated trend, so standing at work is a smart way to get paid to lose weight. 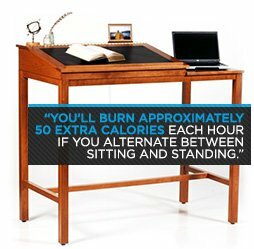 You'll burn approximately 50 extra calories each hour if you alternate between sitting and standing. Over a year, this deficit would make you 10 kilograms lighter. It's the laziest way to get lean. Fighters Only Magazine gives readers an inside look into the world of MMA, with fight previews, training tips, and exclusive interviews.